EXCLUSIVE AT NET-A-PORTER. 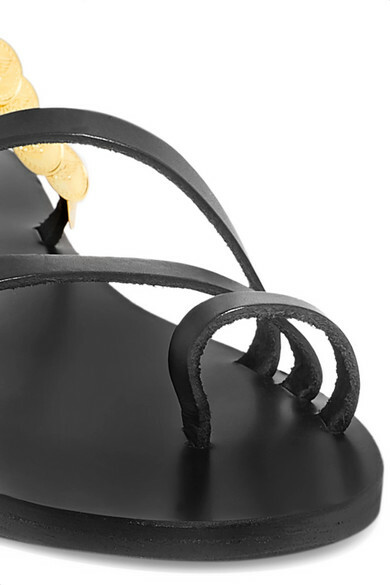 PORTEREdit names coin jewelry as one of the season's biggest accessory trends and Ancient Greek Sandals' 'Faye' pair makes it so easy to tap into the style. Part of our exclusive capsule, they are handcrafted from black leather and have three supportive straps and a discreet toe loop. The gripped sole makes them perfect for exploring new cities on vacation. 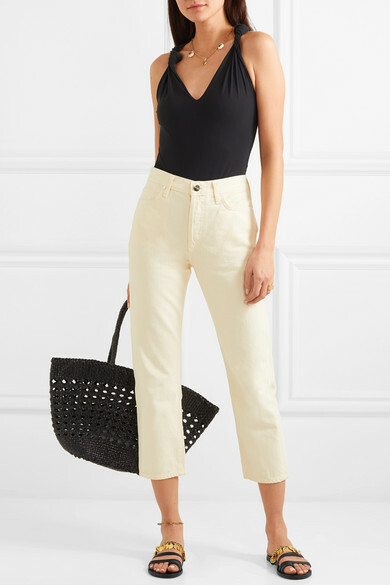 Shown here with: Nanushka Swimsuit, CASASOLA Jeans, Dragon Diffusion Tote, Tohum Necklace, Chloé Bracelet, Jennifer Fisher Ring, Chloé Anklet.